Monica started working for Colliers International in 2011 as a transactional broker with a focus on residential properties. Monica has worked in the real estate industry since 1993, and since 2000, she has had a main focus on commercial and residential properties. Monica can assist both buyers and sellers with relation to the sale of office and apartment buildings as well as retail properties. She is well-connected within this segment and has excellent local knowledge. 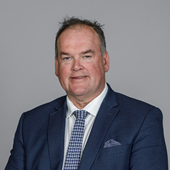 Thor has over 30 years of professional real estate experience and began his career at Colliers International in 1996, initially focusing on investment brokerage. His main expertise area is investment advisory together with retail brokerage/advisory in Norway. Thor focuses on advicing international investors. Jørgen started working for Colliers International in 2005 and has worked as a transaction broker since 2007. Jørgen has throughout the years worked on numerous transactions across all segments in the Norwegian Commercial Real estate market, representing large domestic and international clients. Since 2017 Jørgen has been Head of the Investment and Transactions department at Colliers Norway. Bjørnar has 25 years of professional real estate experience. Earlier experience includes previous positions as Marketing Manager for NCC Property Development, Property Director and Vice President Baltics in Linstow, a large Real Estate Company situated in Oslo and CEO at IT Fornebu Eiendom. Bjørnar has also previously founded a professional real estate brokerage firm in Oslo and a property fund in Trondheim. 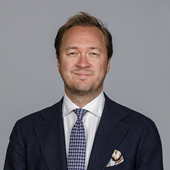 Sondre started in Colliers International in January 2015 as an analyst responsible for market research and analysis, but has since joined the capital markets team as a Senior Investment Advisor assisting domestic and international investors throughout the value chain from sourcing to execution of deals. He covers all segments of commercial real estate in a variety of product types from core to value-add driven transactions. Prior to joining Colliers International Sondre worked as a market analyst in the Norwegian listed real estate company Entra ASA since 2012. Tom Elliot has worked at Colliers since 2015 and has worked in the real estate industry for 6 years. in his previous position at Obligo Investment Management, Tom Elliot worked with the mangement of portfolios in the US, Sweden, Norway and Great Britain. At Colliers he has focused on real estate transactions across all segments and has represented both buy- and sell side. Tom Elliot has assisted in the sale of real estate totaling €350 million.